The twelfth chapter of the Second London Confession begins by reminding its readers the saving blessings of the gospel and the privileges that accompany it are always received as a whole.1 Thus, the confession states, “All those that are justified, God vouchsafed, in and for the sake of his only Son Jesus Christ, to make partakers of the grace of adoption.” Believers are graciously justified “for Christ’s sake alone” (LBC 11:1), and believers are graciously adopted “for the sake of [the Father’s] only Son Jesus Christ” alone (LBC 12). The “grace of adoption” comes to the believer in Christ alone and for Christ alone. The believer’s adoption is precisely why God sent His incarnate Son in the first place. The Apostle Paul writes, “God sent forth his Son, born of woman, born under the law, to redeem those who were under the law, so that we might receive adoption as sons” (Galatians 4:4–5, emphasis mine). God cares for the believers whom He has justified so much that He sent His Son—His only Son!—to bleed in shame under the crushing weight of sin’s curse. God also gives to them sonship in “the household of God, which is the church of the living God” (1 Timothy 3:14–15). Paul says in Ephesians, “In love [the Father] predestined us for adoption to himself as sons through Jesus Christ” (Ephesians 1:5, emphasis mine). Before the foundation of the world God set his electing gaze on his children as he moved history to save their souls and bring them into his family through the “grace of adoption” (LBC 12). Because the believer’s adoption into God’s household is the reason the Son of God was sent forth, Jesus became what He was not in order to make what human beings could not become a reality for them (2 Corinthians 5:21). As a result of His accomplishment, those for whom Christ died are adopted as children of God. Paul states, “for in Christ Jesus you are all sons of God through faith” (Galatians 3:26). 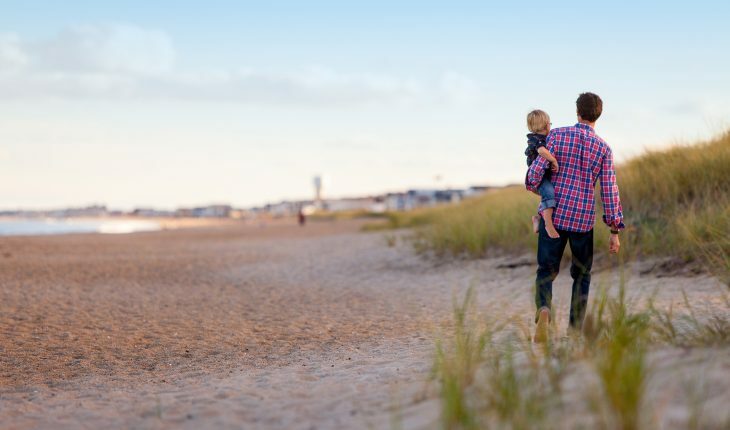 The word “sons” suggests the idea of standing – independent standing. Adoption is a state of freedom (Galatains 3:25). The word “all” indicates that both Jews and Gentiles, men and women, old and young alike are admitted into this new spiritual status as equal partners in the “grace of adoption” by faith in Christ Jesus (LBC 12). The new birth “in Christ Jesus” is presupposed and assumed as a prerequisite for being named a child of God (cf. 2 Corinthians 5:17). The phrase itself is directed to a particular people, not a universal condition of all people regardless of their relationship to Jesus. Not everyone is a son or daughter of God. Thus, John states, “But to all who did receive him, who believed in his name, he gave the right to become children of God” (John 1:12). The Spirit of adoption brings the believer into the household of God as children, “and if children, then heirs—heirs of God and fellow heirs with Christ” (Romans 8:15, 17). Adoption is effectual because of the death of Jesus. It is made possible in this life through the new and living way inaugurated through His flesh. The “grace of adoption” (LBC 12) is gained only through faith in the person and work of the Lord Jesus Christ because it is through the flesh, i.e. 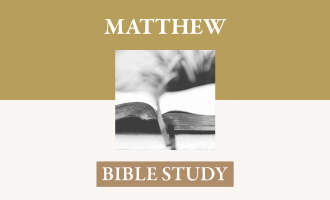 through the death of Jesus (Matthew 27:50–54), that access to God is made possible. As Joseph’s adoption of Jesus fully legitimizes the Savior’s Davidic ancestry, so also God’s adoption of believers as sons and daughters truly grants them eternal access into His Fatherly presence. Jesus’ death actualized the forgiveness of their sins and grants them access to God (Matthew 1:21; 5;8; 26:28).2 Access to God through the grace of adoption is granted through the torn and bloody and dead flesh of Jesus (cf. John 6:50–58). What is adoption? Adoption is the believer’s New Covenant membership into God’s household. Why did they put it here? Sandwiched between the doctrine of justification (LBC 11) and the doctrine of sanctification (LBC 13) readers observe that acceptance with God as righteous is prerequisite to adoption which then leads to the believer’s progressive conformity to Christ. By faith the regenerate are the children of God. This observation makes evident that the grace of adoption is not the same as justification or sanctification.8 The grace of adoption is unique because it accentuates that the adopted children of God “are the sons of God the Father and he sustains to them this highest and most intimate of relationships.”9 The sons of God the Father experience the awesome joy of knowing they are justified before their Almighty Judge; the awesome joy of knowing they are being healed by their Great Physician—the mortal illness of sin is no longer! But their happiness is derived in the context of a family as adopted children, not as defendants in the courtroom or patients in the waiting room. The qualitative difference is enjoyment of “the liberties and privileges of the children of God” (LBC 12). The doctrine’s placement in the confession makes this unmistakable. The Second London Confession teaches that God’s elect are justified by faith in Jesus Christ (Galatians 2:16), and given the right to become God’s children by faith in Jesus Christ (John 1:12). By faith in Jesus Christ they enjoy what the confession identifies as the “liberties and privileges” of God’s own family (LBC 12). Being adopted into God’s own family means the believer now has unmitigated freedom to address God directly, according to Paul, as “Abba! Father!” (Galatains 4:6; cf. Romans 8:15). The one who conquers, I will make him a pillar in the temple of my God. Never shall he go out of it, and I will write on him the name of my God, and the name of the city of my God, the new Jerusalem, which comes down from my God out of heaven, and my own new name (Revelation 3:12, emphasis mine). The blessing is not in name only; adoption makes the Father’s children honorable. With the name comes an appropriate heart attitude and a true, loving relationship (Romans 8:15). Blessed be the God and Father of our Lord Jesus Christ! According to his great mercy, he has caused us to be born again to a living hope through the resurrection of Jesus Christ from the dead, to an inheritance that is imperishable, undefiled, and unfading, kept in heaven for you, who by God’s power are being guarded through faith for a salvation ready to be revealed in the last time (1 Peter 1:3–4). The Father is lavish in His gifts to His adopted children. Believers will experience the benefits of receiving all that He has provided for them because “all those that are justified, God vouchsafed, in and for the sake of His only Son Jesus Christ, to make partakers of the grace of adoption” (LBC 12). The doctrine of adoption teaches believers not only what they receive—sonship—but also what the Father gives—a new name and a new nature. All Christians are the people of God – never forgotten by God or His church even if they are forgotten or abused or taken advantage of by their own biological family on earth. The doctrine of adoption teaches that theology trumps biology. 1 This observation comes from Chad VanDixhoorn, Confessing the Faith: A Reader’s Guide to the Westminster Confession of Faith (Carlisle, PA: Banner of Truth, 2014), 172. 2 This is made explicit in Hebrews 10:20. 3 Thomas Watson, A Body of Divinity (Carlisle, PA, 1978), 232–233. 4 Charles Spurgeon, The Lost Sermons of C.H. Spurgeon: His Earliest Outlines and Sermons Between 1851 and 1854, Vol. 1, ed. Christian T. George (Nashville, TN: B&H, 2016), 71. 5 Fred A. Malone, “Biblical Hermeneutics & Covenant Theology,” in Covenant Theology: A Baptist Distinctive, ed. Earl M. Blackburn (Birmingham, AL: Solid Ground Christian Books, 2013), 80–81. Emphasis mine. 6 This observation comes from Garner’s work on adoption. See David B. Garner, Sons in the Son: The Riches and Reach of Adoption in Christ, (Phillipsburg, NJ: P&R, 2016), 26. Careful readers will notice that WCF 12 and LBC 12 are identical statements. 7 VanDixhoorn, Confessing the Faith: A Reader’s Guide to the Westminister Confession of Faith, 171. He notes that the doctrine of adoption has often been lost from view since the time that this chapter was written by both the framers of the WCF and the LBC. 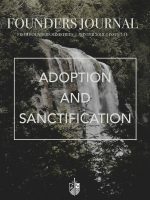 8 Harris notes that adoption is “not the same as justification or regeneration.” He laments that too “frequently it has been regarded as simply an aspect of justification or as another way of stating the privilege conferred by regeneration.” John Murray, Redemption: Accomplished and Applied (Grand Rapids: Eerdmans, reprint 2015), 139. 9 Murray, Redemption: Accomplished and Applied, 147. 10 Timothy Keller, Galatians For You (The Good Book Company, 2015), 89. 11 Watson, A Body of Divinity, 235. 12 Though adopted as sons and daughters, believers must consider in what sense they are the sons of God. Believers are “not sons of God in so high a sense as Christ is, who is God’s own Son, his proper son, his only begotten Son.” John Gill, A Body of Doctrinal Divinity, 2:821. Rather, believers are the sons of God by adoption. 13 Watson, A Body of Divinity, 233. 14 Murray, Redemption: Accomplished and Applied, 144. 15 Watson, A Body of Divinity, 233.